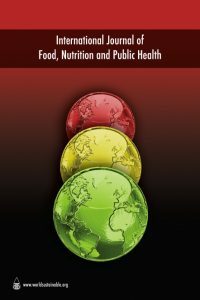 Abstract: This study assessed the various risk factors associated with nutritional rickets among children aged 2–36 months old in the Gaza Strip. The study sample consisted of 170 children with rickets and 170 control children. A questionnaire interview was used. Descriptive statistics, Chi-square, odd ratios and logistic regression were applied. Rickets was higher among children of unemployed mothers. Rickets was also higher among exclusively breast-fed children (OR= 2.3, P= 0.000). Early introduction of complementary food particularly that contains eggs or fishes protects against rickets. Children who were not exposed to sunlight had more rickets (OR= 16.3, P= 0.000). Rickets was higher with decreasing frequency of exposure to sunlight and among children who had been fully dressed. None of the control children were found to live in the basement compared to 11.8% cases. The more deliveries the mothers had, the more rickets was found among their children (P= 0.028). Rickets was higher among children of mothers who did not receive health education (OR= 41.3, P= 0.000). In conclusion, lack of sunlight exposure and health education, and exclusive breastfeeding were the major risk factors contributed to rickets among children in the Gaza Strip.